Amy Cherry at W. W. Norton has acquired Cheryl Klein’s book on writing children’s and young adult fiction. Previously self-published as Second Sight: An Editor's Talks on Writing, Revising, and Publishing Books for Children and Young Adults, Klein will be revising, re-writing, and updating the book. Klein is the executive editor at Arthur A. Levine Books/ Scholastic, where she served as the continuity editor for the last two books of the Harry Potter series, and she also teaches in the publishing program at the NYU School of Professional Studies. Publication is planned for September 2016; Brianne Johnson at Writers House negotiated the deal for World English rights. I know! The Norton Anthologies! And Michael Lewis! And Patrick O'Brian (swoon)! I am thrilled. 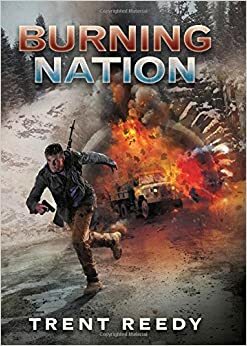 How will the new book be different from Second Sight? We are still talking this through, but my goal is that it will be a more complete and fully integrated guide to writing fiction for children and young adults, with a structure that walks writers through all the major elements of fiction and the writing process, accompanied by exercises, worksheets, and practical examples to help them apply the ideas on the page. Much of the material will be new, and much of what is taken from Second Sight will be extensively revised. So you're not self-publishing anymore. Why not? This new project started because I wanted to revise Second Sight into the book I describe above. As I thought about what it would take for me to do that, I realized that I was (and am) at a different place in my life than I was when I put Second Sight together, and I could really use the support, structure, challenge, and deadlines provided by a traditional publisher. When people have asked me about self-publishing in the past, I've always said that neither traditional nor self-publishing should be the universal prescription for every writer and every project -- that the choice always depends upon the nature of the book, its market, and the writer's abilities and expectations in relation to the project. This was the right book and the right time for me to switch to traditional publishing, and I'm very grateful to Brianne for encouraging me and connecting me with Amy at Norton. What will happen with Second Sight? What's it like to be on the other side of the editorial desk? Pleasant and yet extremely weird. What will the title of the new book be? Edited to add: It arrived! The title will be The Magic Words: Writing Great Books for Children and Young Adults. 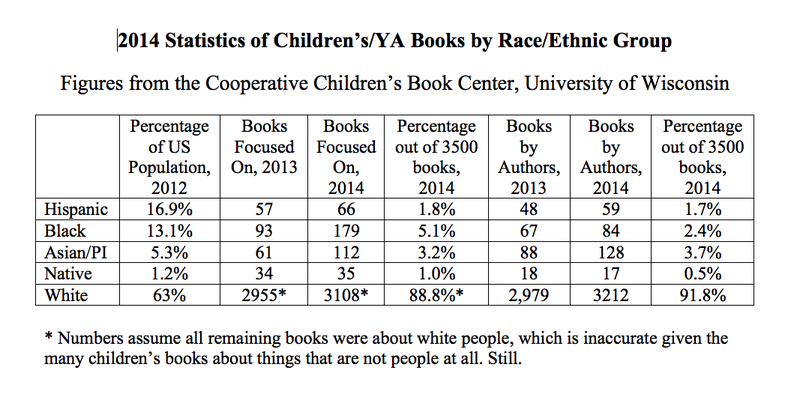 It should be noted that the CCBC does not create or provide statistics on either the U.S. population or the number of books by white people; those are my additions for comparison's sake. The percentages are also my math, so any errors are my own. Further to the question of how many protagonists of children's books are objects or animals and thus less likely to have an obvious race/ethnicity, KT Horning, the director of the CCBC, pointed me to this blog post she wrote in 2013 on that topic. I am delighted to see the year-over-year almost-doubling of the number of Black and Asian book creators. But still: We can do much better, people. Today, February 4, 2015, is the ten-year anniversary of Brooklyn Arden! This blog took its current form one Friday night when I was home alone and lonely, and consequently decided to talk out loud to the Internet. The years I've spent talking out loud here since led directly to writers' conference appearances, new publishing projects, my website, my book, and many, many great conversations and connections. (As well as much enjoyable silliness: See here and here.) The Internet and my life have changed enormously since I started writing in this space, and I'm a little sad I don't chatter as much here anymore. But I am also enormously grateful to this blog for the chance to "know what I think when I see what I say" for the past ten years, and to all of you for coming here, seeing it, and sometimes saying back. Thank you.